Solms Delta is a lovely place. There is a museum at the entrance, restaurant (Fyndraai) with indoor and outdoor seating, and a tasting area which is outside under the beautiful trees.The whole place has a very nice relaxing feeling. 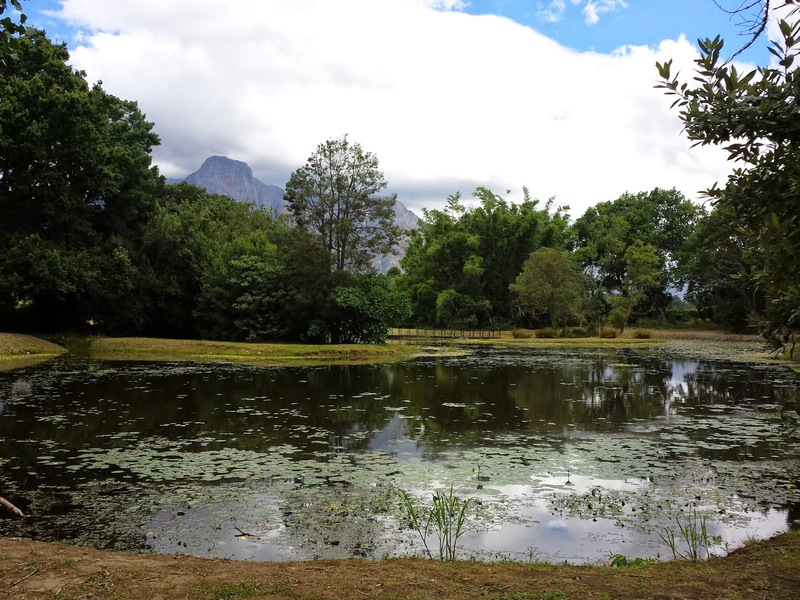 Friends had told us that the picnic at Solms Delta is really good, so we finally made our way out there and saw for ourselves what they were talking about. We started off the day with a tasting first, so we knew which wine to buy to accompany our picnic. We sat outside at a nice long table, under the trees. The guy who did the tasting with us was really nice and provided a very informative tasting. He mentioned that he was brought up on this estate, so it was cool to have him run through the wines with us as he was informative and could tell us the history of the wines and names. 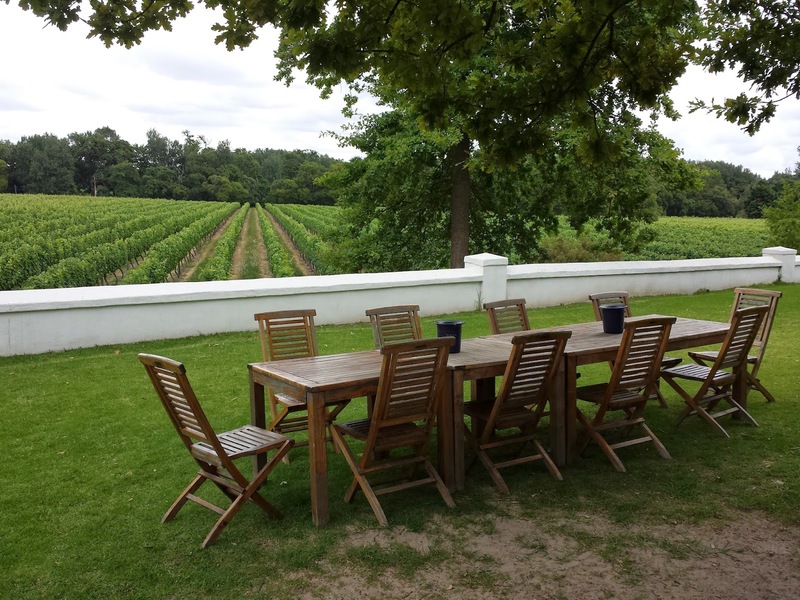 Included in the price for a picnic, you can do a wine tasting. As we hadn't tasted the wine before, we decided to do the tasting before purchasing a few bottles to go with our picnic. 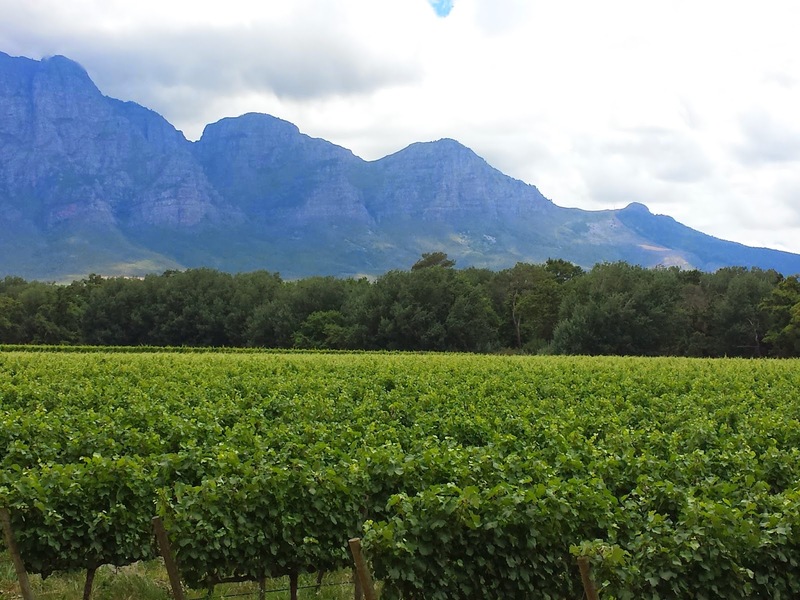 We tasted the Cape Jazz Shiraz NV bubbly (R58) first. It was pleasant, easy drinking, like grapetiser. Dry yet a little sweet on the finish. Next we tried the Amalie 2012 (R110) which was fruity, balanced, smooth and dry. It was lovely. I liked this wine. Vastrap 2012 (R53) had a typical Chenin Blanc smell. It tasted fresh and had hints of apple and pear on the palate. It had a fresh finish. It was ok.
Lekkerwijn 2012 (R67) was dry, had a lovely fresh yet fruity flavour. Flavours I picked up were melon, strawberry and lime. It spent 11 months in 2nd fill barrels. It was a nice wine. 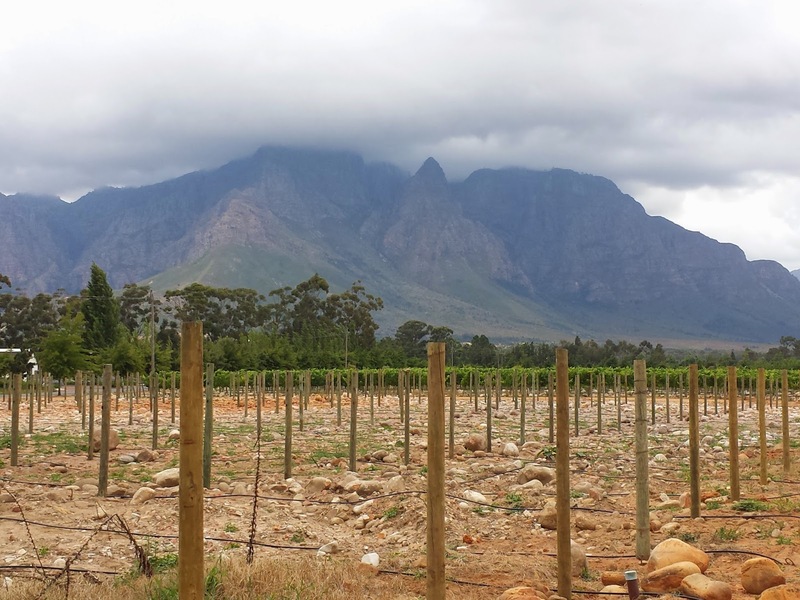 Langram 2012 (R55) is a blend of Pinotage, Shiraz, Mouvedre and Touriga Nacional. On the nose I picked up vanilla and blackcurrent. It was fruity and soft on the palate. It was quite light for a red wine. Easy drinking. It was a little bit of a fruit bomb and a little dry on the finish. Hiervandaan 2011 (R120) was a blend of Shiraz, Mouvedre, Grenache Noir and Carignan. This wine had a lovely aroma. Gemoedsrus 2010 is a Shiraz fortified wine (R200). Dik Delta Perry NV (R40) was interesting. After we purchased a few bottles, we picked up our picnic baskets and made our way to the picnic area. It was a nice five minute walk to get there but they do offer tractor rides to get there and back also. I liked the walk as it was very scenic with the lovely gardens and ponds. We found a nice shaded area to have our picnic. Blankets were supplied which was great. In the picnic we had biltong, cheese and crackers, ribs, chicken, salad and a dessert. It was more than enough for each couple. The place is so tranquil and relaxing that it is a perfect way to spend a lazy Saturday or Sunday afternoon. If you have children, then this is a nice option as there is plenty of grass area for them to run around and it is child friendly. The one thing I want to add to this review is that you don't have to pre-pay for the picnic. You do have to book, but on the day, if the weather isn't ideal you can cancel your picnic and/or you can change your plans and eat at the restaurant instead. What I like about this is that there is a plan B if the weather doesn't play along. 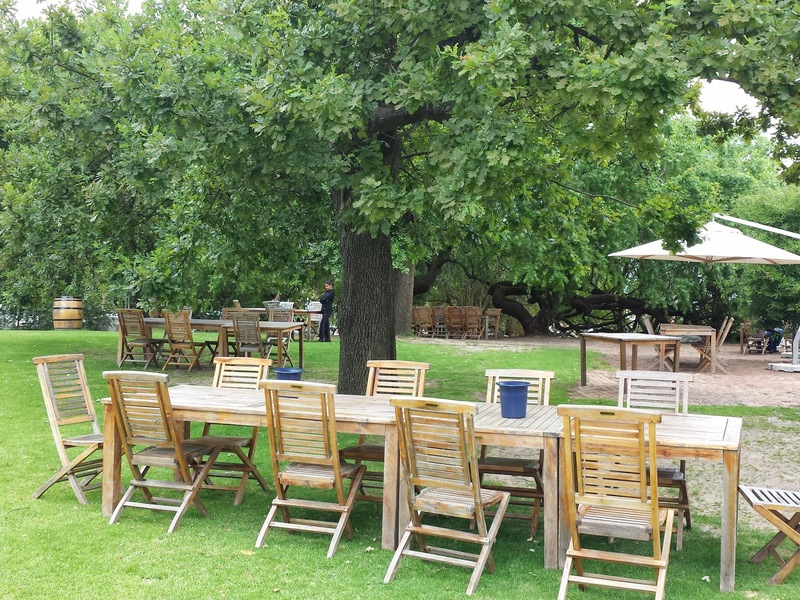 I recommend a day out at Solms Delta.